 Creighton University’s MBA program and the Business Ethics Alliance have formed a collaboration to interview the leaders of local businesses that have recently won the Better Business Bureau’s Integrity Award, The goal was to determine if there are any identifiable characteristics that make those businesses more ethical than others. We interviewed Sarah Smith, the President and General Manager of KETV, a winner of the BBB Integrity Award in 2005. Ms. Smith’s background consists of 22 years in television, where she started in sales. She always wanted to run a news station in the Midwest, and considers her job at KETV to be the “brass ring” of her career. According to Smith, this attitude is prevalent among those who work at KETV, who consider Omaha to be their home, and their job to be one of public service. The concept of public service is one close to Smith’s heart. She spoke repeatedly about the obligations she feels that news organizations like KETV have to inform the public. She takes a great deal of pride in this, and mentioned that she had been fascinated by the impact of television since her time in college. Smith talked about Patti Smith and Jim Moroney, two previous managers she had worked for, as greatly influencing her career. She discussed how they were passionate about what they did. Their influence on her was such, that even when it came time for her to move on with her career, she was hesitant to do so. Smith also talked about the influence of her childhood on the way she approaches ethics. Her mother taught her not to judge people by their appearance, but to get to know them. Doing the right thing, working hard, and treating others as you would like to be treated, were often reinforced in her home. Smith discussed how one of the most difficult parts of being an ethical manager is to have the necessary but difficult conversations with employees. Yet she considers providing honest feedback to be a moral obligation of being a manager. She noted that “if you don’t take the time, then you’re part of the problem.” She talked about how many managers are just scared to manage, and how important it is to stand up for yourself, and to be decent, moral, ethical, and professional in one’s professional dealings. Smith discussed how KETV provides specialized training for new employees, based on their position. Yet regardless of their role within the organization, the theme to “Do the Right Thing” is interwoven into that training. For existing employees, KETV’s ethical guidelines are also available on their website.  KETV strongly believes it has a corporate social responsibility to play a positive role in the Omaha area. Smith discussed how KETV participates in Race for the Cure, and helped to start a program for underprivileged children in the community, providing them with backpacks filled with school supplies. She mentioned that KETV contributes approximately $2 million per year to the Omaha community. Smith discussed how the role of a news organization is to provide information to its viewers, allowing them to make informed decisions. She lamented the fact that national news organizations have allowed themselves to become politicized, something she hopes never happens to local news. She talked at length about the time and energy everyone at KETV had put into the recent election. Its goal as a news organization was to put as much information out as possible about the candidates and issues on the ballot, allowing its viewers to make informed decisions. Smith also described how it is not the role of journalists to decide what the public gets to know, but just to make sure that their information is factual and correct before broadcasting it. She noted that a story must be confirmed by as many as three sources before it would be broadcast, depending on the source and the sensitivity of the material. One difficult incident that Smith faced during her time at KETV concerned the Westroads Mall shootings, which occurred in 2007. During the coverage of the shootings, KETV relied on police reports from a number of witnesses, who reported that the shooter was an African-American male, dressed in camouflage. Westroads at the time, a black man who was hiding under a bus bench outside the mall, was thought for a time to possibly be the shooter. Once it received updated information regarding the identity of the shooter, KETV corrected the story immediately.